A modest Montana guesthouse that provides nostalgia and comfort. This Montana guesthouse provides the perfect place for a Texas family to feel both nostalgic and at home. 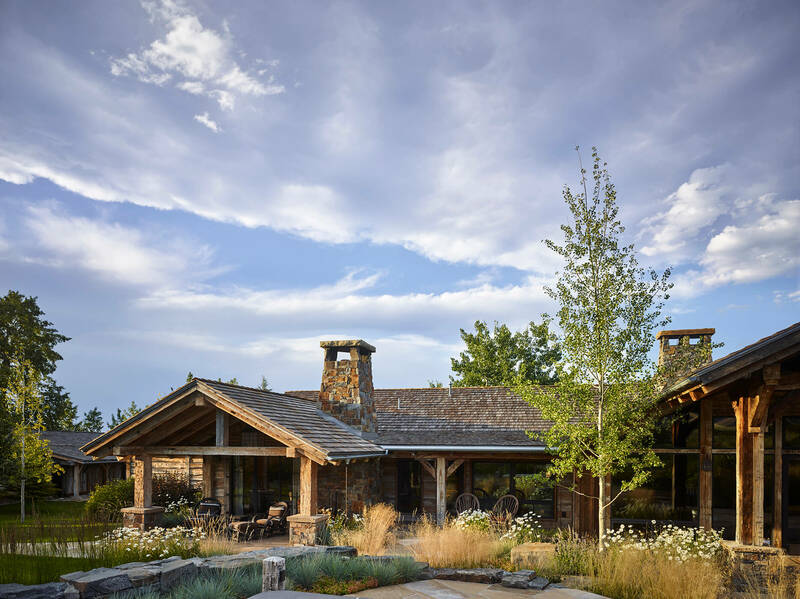 They envisioned a guest cabin that would not only be of the region, modestly scaled and historically appropriate, but also textured, layered and personal. With a symmetrical cross-axis design, timbered features, and simple materials, this cabin blends perfectly into the surrounding landscape.